SM Fashion Forum Welcomes Isaac Mizrahi! some photos grabbed from Ana Gonzales! Here's the new Isaac Mizrahi line! The dresses for this season come in classic silhouettes, in Mizrahi’s iconic staples: sheath, shift, and strapless dresses, maxis, peplum shifts, and more. The dresses are a reinterpretation of hits from his ready-to-wear archives, rendered in vibrant colors and prints he loves and is known for. Pretty shoes by Jeffrey Campbells! Food was divine! Naka 4 servings ata ako haha. 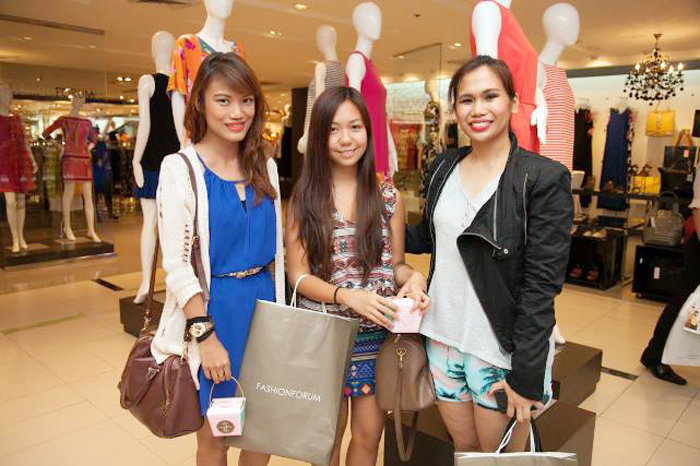 With Ms. Carrett of SM Fashion Forum! Tres Marias. The chill girls, haha, with Tracy and Ana! Follow SM Fashion Forum for updates! the collection is so glam :D bagay kay mother zsa zsa nga! The clothes are indeed chic and very nice!